Where soap meets every day life. The last few weeks have been rather eventful. First and foremost, I married the love of my life. We had a huge elaborate wedding planned, but it started to get out of control. One day, we looked at each other and said “why are we doing this to ourselves?” And with that we decided to elope. In the blink of an eye, we were in a chapel in Las Vegas and became husband and wife. It was absolutely perfect. But I’ll save that for another post. So with all the wedding planning, eloping and everything else, I never really got to tell you about my new venture. When I have more time, I will do just that. Because right now, unfortunately, I’m sick as a heck. The cold started a few days after we got back from Las Vegas, and about 4 other friends/family also became sick. I’m not sure if it was the smoking in the casino, the drinking, the lack of sleep, something else or all of the above, but as of right now, I’ve lost my voice and can’t eat. -Licorice Root: This herb has been used for centuries to treat coughs and sore throats. It’s very soothing and calming on the throat and it also works as a phlegm expectorant. Licorice can be used for a variety of ailments, from internally to externally, so do your research to see if it’s something you want to try. 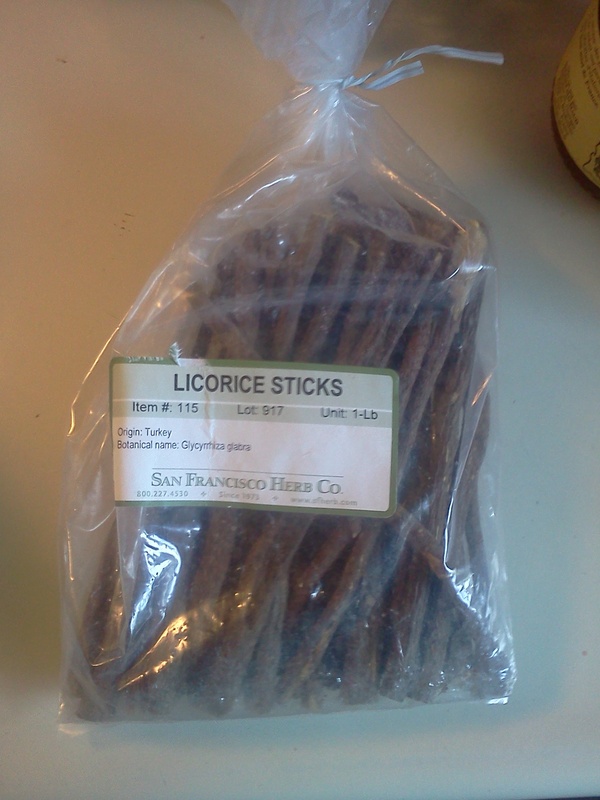 Licorice is not intended for long term use, but for coughs and colds, it’s not too bad. You can chew the root or make it a tea like I do. -Hibiscus: Full of vitamin c and great at decreasing inflammation, hibiscus is a tart and tasty herb you’ll want to keep in stock. 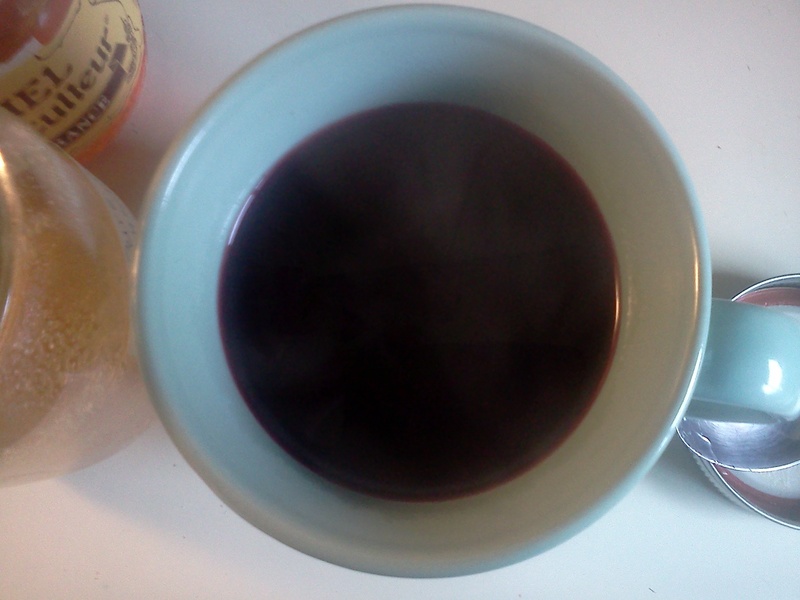 Unlike licorice, you drink hibiscus tea long term. I’ve also read it’s really great for colds, but I suspect it’s because of it’s high concentration of vitamin c.
-Honey: I’ve said it many times, honey tastes great! Also, it’s very soothing on a sore throat, anti-inflammatory and anti-microbial. Something to note about hibiscus and licorice root is that they are both mildy diuretic. You will find that you use the bathroom more than usual when drinking this tea. 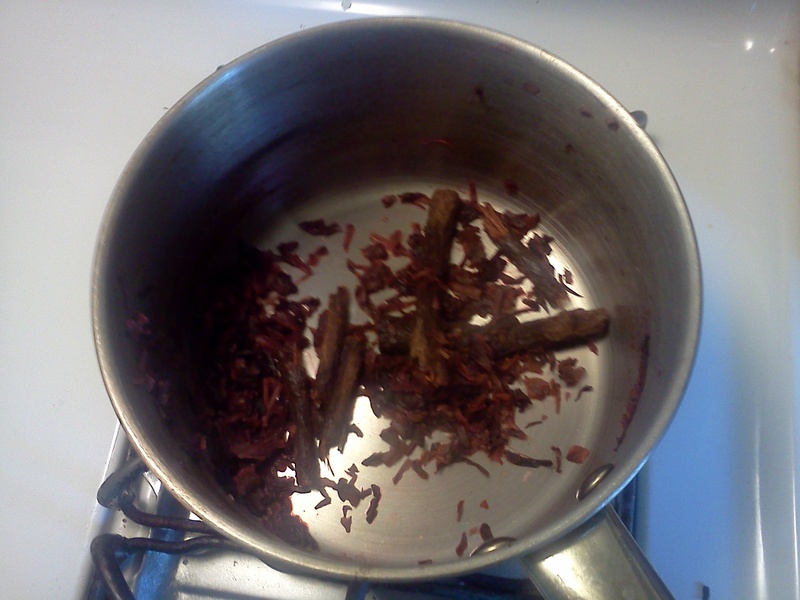 Also, if you have some elderberry on hand, you could add this to the brew as well. Generally I would, but I’m not feeling flu-ish yet. Mainly just tons of congestion and major sore throat. I prepare my teas the same way I make tinctures. I let them simmer down until I’m left with half the water I started with. With any types of root herbs, I’ve found that I get better concentration of the herb when I let it simmer a good long while. Also, I follow the Chinese tradition of using the herbs in 3-4 rounds of teas. Meaning, when I drink up my first batch, I use the same herbs again in a new batch. But, I only use the herbs the same day, I don’t carry them over to the next day. I realize these look like ordinary branch twigs. But that’s just an illusion as these are herbal wonders. 1. Break 1-2 twigs in smaller pieces in a pot. Add 1-2 teaspons of hibiscus. Add 4 cups of water. 2. Bring all 3 ingredients to a boil. 3. When the mixture is boiling, turn down to a simmer. Simmer until about half the water is gone. For me, this is about 20-30 minutes. You can really drink your tea any time, but let it simmer awhile. Whats left of the herbs after they’ve been simmered for about 30 minutes. 4. Once you get the tea the concentration you like, strain and pour into a mug. This is where I add a teaspoon to a tablespoon of honey. This is my brew after it’s boiled down half way. It’s a rich purple color and is about as thick as rich red wine. The lower you let the water boil out, the thicker the tea will be. You can’t go wrong with any amount of tea you end up with, so don’t feel like you have to boil it as long as I do. I think you’d like it. Hibiscus and honey make everything taste good. Today I’m drinking mint & licorice. Missed a blog? Check the calendar!